On August 4, 1790 Secretary of the Treasury Alexander Hamilton established the Revenue-Marine to serve as an armed customs enforcement service. In 1894, it was renamed the Revenue Cutter Service. In 1915, it merged with the U.S. Life-Saving Service. Thus the United States Coast Guard was formed. The Coast Guard is a single maritime service which is dedicated to enforcing the maritime laws and saving life at sea. Since 2002, it has been operating under the authority of the Department of Homeland Security. Coast Guard Day is mainly an internal event. It is celebrated primarily by Coast Guardsmen, both active duty and reserve, as well as retirees, civilian employees, dependents, and auxiliarists. Coast Guard units across the country organize picnics and sport competitions. In addition, the Coast Guard Festival takes place every year the week of August 4. 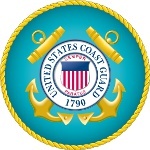 It is held in Grand Haven, Michigan that is officially designated as Coast Guard City USA. The corresponding law was signed by President Bill Clinton and came into force in 1998.